The RB8 is the exact model that Sam Bat designed for MLB slugger Ryan Braun to use in games. Now you can use the same quality bat as many professional players. Sam Bat! Some folks will lead you to believe that wood is wood, and that the brand does not matter. Others will tell you that the bigger the brand, the better the wood, because of their sheer mass of raw materials, and the ability to hand select the finest timber. We will tell you that is only the beginning. All Sam Bat timber is of the highest grade Hard Maple available in North America. Every bat to come out of the mill is made from the top 5% of Hard Maple Prime Grade Timber. That makes a Sam Bat good, but what happens next makes it great. Conventional lathes put a tremendous amount of stress on timber as the wood is being turned. This fatigue weakens the stick before it even sees the ballpark. Sam Bat timber is turned into a baseball bat on a proprietary lathe, custom built for and designed by Sam Holman, the founder of Sam Bat. This exclusive technology puts absolutely no stress on the timber during the production process. Most bats lose at least 4-5 long shots before they leave the factory floor, but Sam Bats keep them. But the real test is at the elite pro level. In just a few years, hundreds of professional players have made the switch to Sam Bat Hard Maple. Sam Bat: The Original Maple Bat Corporation! Free Shipping! 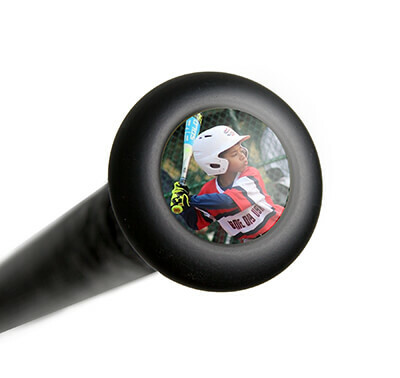 Pros: This is the best wood bat out there. This hits the ball better then a BBCOR. Weight is very well balanced. Pros: Amazing bat, with incredible pop. Balanced, and great looking. Note when ordering you can specify the cup depth at the end of the barrel, from shallow to med to deep. It will effect the sweet spot on the barrel. Pros: It has great pop. Nice handle. A little end heavy could be a con. Best bat out there. Cons: A little end heavy could be a pro. Pros: great bat, feels awesome off the barrel. really whips through the zone well. hard to explain, but it feels balanced, yet somewhat end loaded. Pros: Great bat. Feels balanced yet it whips through the zone like an end loaded bat. Sweet spot is big, and the knob is very comfortable. Cons: None, but in the review by the name "Sam bat" he says the grains aren't lined up but they actually are. Maple is supposed to be hit on the circular grains. Have a question about the Sam Bat Maple Wood Baseball Bat: RB8 Natural/Black Adult? Ask our team of experts and they will respond within 24 hours. How big is the barrel of the Sam Bat RB8? It is just a bit more than 2.5 inches. How's this bat for a 16 yr old transitioning from a BBCOR? This would be an excellent choice for a trasitioning player. What does the cupped end do? That is called a pro cup. It's main purpose is to ensure the bat is at the appropriate weight. The manufacturer will shave this cup out of the barrel of the bat in order to achieve a specific weight. Is this a 1/2 cup, no cup, or full cup bat? It is a full pro cupped bat. Is this bat end-loaded or nicely balanced? It is a balanced bat. What is the difference between a regular handle and a flared handle? A regular handle has more of a knob, where the flare is a smooth graduation to the end. Yes, the RB8 is legal under Little League's rules. I was looking at this bat and the Marucci AP5. Which one is better? Both the Sam Bat Maple Wood Bat and the Marucci Albert Pujols Maple Wood bat are great bats. Both have 2 1/2 barrels and will be very durable. The Sam Bat has a slightly larger handle. Is it true that the labels are not lined up with the grain and if so will that be an issue? If the labels are not lined up with the grain it will not change the performance or durability of the bat. I want your opinion which would you rather get the VMC243 or the RB8 Black/Natural Adult? I would suggest going with the Louisville Slugger MLB Prime Maple Wood Bat: VMC243 Adult over the Sam Bat Maple Wood Bat: RB8 Natural/Black Adult, because the Prime has a hardness level of 9, which is harder than any other bats giving it a ton of pop. Would you recommend this bat to a player who likes a very thin handle? Yes. At 29/32", the handle on the Sam Bat Maple Wood Bat: RB8 Black/Natural Adult bat is a little thinner than your average wood bat handle. The Sam Bat Maple Wood Bat: RB8 Natural/Black Adult bat has a 2 1/2" barrel diameter. Which Sam Bat has the biggest barrel? Most Sam Bats have a 2 1/2" Barrel. The Sam Bat Maple Wood Bat: JB1(S)SG1 Natural Adult will have the largest barrel and measures 2 9/16". What turn model is this bat? Would you suggest this bat or the Louisville Slugger MLB Prime CG 110 for a primarily contact hitter? The turn model is RB8. This Sam Bat Maple Wood Bat (RB8) Natural/Black Adult bat is Ryan Braun's signature model, and does not feature the same specs as a standard turn. The closest standard turn model you could compare it to would be a 271 with a thinner handle. With that thin handle, the bat isn't quite as balanced as a 110 turn like the Curtis Granderson Prime model. But both bats would be pretty good choices for a contact hitter. It totally just depends on what kind of handle thickness and taper into the knob you prefer. What are the differences between the RB8 model and and the the KB1? Which one is more balanced? Both the Sam Bat Maple Wood Bat (RB8 Natural/Black Adult) and the Sam Bat Maple Wood Bat (KB1 Walker/Black Adult) will have 2 1/2" barrels diameters. They both will also feature a flared knob and cupped end. The main difference is that the KB1 is the Rideau Crusher Model and a 271 turn. They both will feature the same balanced feel. Which bat would be better for a contact hitter with some power, the Sam Bat RB8 or the Old Hickory YP66? Which bat is more balanced? The Sam Bat Maple Wood Bat (RB8 Natural/Black Adult) will have a 2 1/2" diameter. 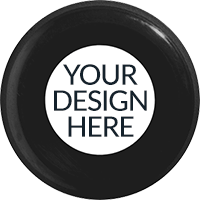 It will feature a flared knob and pro cupped end for better balance. The YP66 Old Hickory model will feature the same barrel diameter but will be a 243 turn model. It will also have a longer barrel length and sweet spot. Is the RB8 in any way similar to a 243 turn model? The Sam Bat Maple Wood Baseball Bat (RB8) has the same handle thickness as the 243 turn but it has a bit more narrow barrel and a quicker taper. Is it ink dot tested? No, the Sam Bat Maple Wood Baseball Bat: RB8 Natural/Black Adult does not feature the ink dot test. 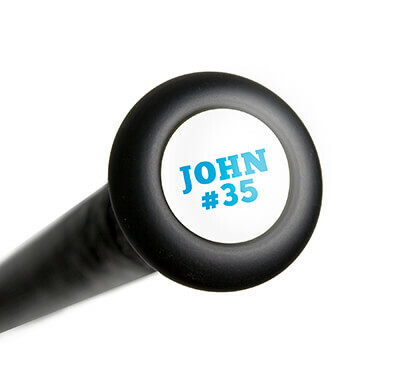 How is this bat different than Sam bat's Miguel Cabrera model? The only real difference between the Sam Bat Maple Wood Baseball Bat: RB8 Natural/Black Adult and the Sam Bat Miguel Cabrera Maple Wood Baseball Bat: RMC1 is that the Cabrera model features thicker 1" handle, whereas the Braun features a thinner 29/32" handle.